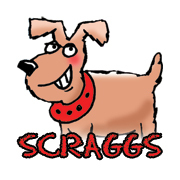 Scraggs The Dog - dog cartoons | Scraggs The Dog – cartoon character – loveable cartoon character. 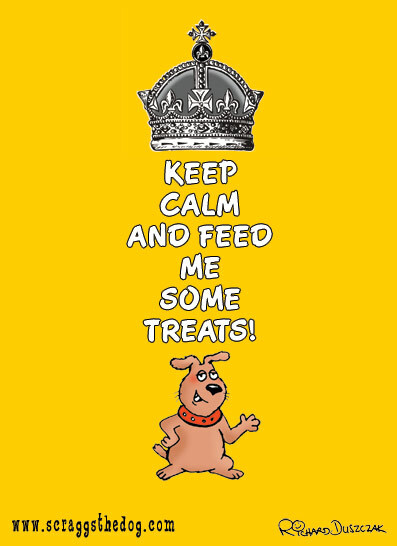 Dog Cartoon – Scraggs Wants Some Treats! When it comes to getting your business ideas or marketing activities across to the customer, you need to think about the best way to get great results. You may not feel as though you want to spend a lot of time thinking about your target market and finding the best way to engage with consumers but in the modern business world, this is essential. Finding out a bit more about your customers will help you to make better decisions on reaching them. 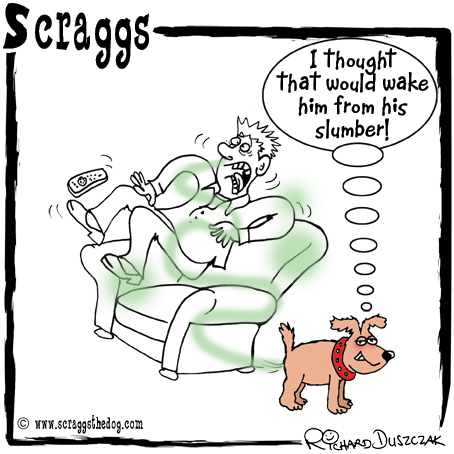 It’s Holiday Time Here In The UK – and Scraggs isn’t staying at home! Fun and unique, these dog cartoons or cartoon strips make a great gift or keepsake. 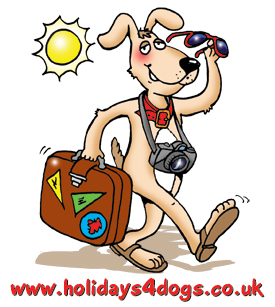 And they are drawn by a cartoonist with over 30 years experience and 18 as Your Dog Magazine’s resident Scraggs creator! Cartoon Doodle Video – Scraggs About To Get A Kiss and Cuddle! This actually happened to me one evening while watching TV and inspired me to create a little cartoon doodle video. 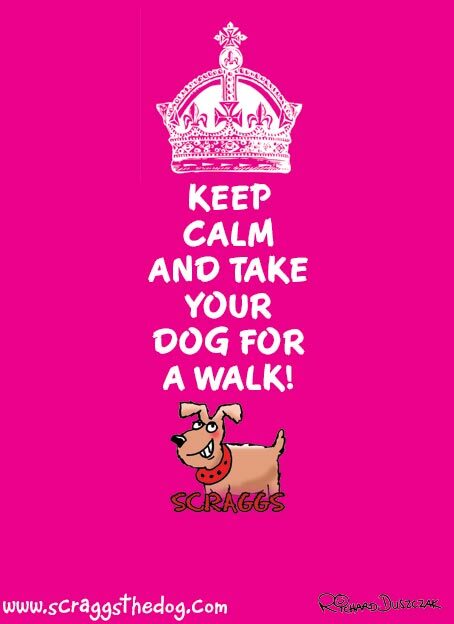 Scraggs KEEP CALM cartoon poster! Who’s the boss – Scraggs for sure! 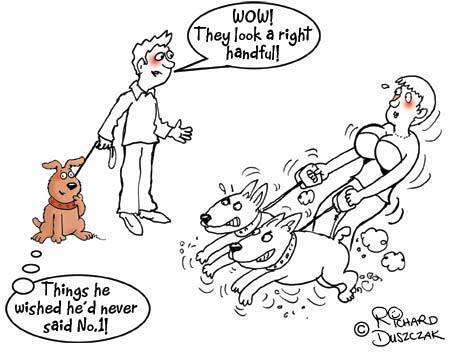 Things I Wished I’d Never Said While Out Dog Walking! Ooops! Was I embarrassed or what when I accidentally said this upon meeting a lady with two very strong dogs!? 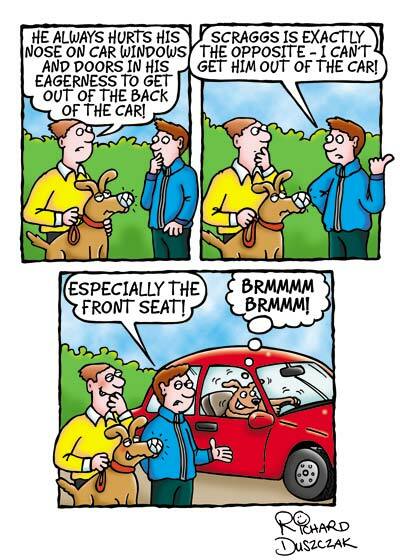 Dog Cartoon Strip – Some Dog Don’t Like Cars While Some Love Them! Scraggs was born in 1995 - that makes him 18 years old or 126 in doggy years! He has appeared monthly in Your Dog magazine ever since! Richard Duszczak is the freelance cartoonist behind cartoonstudio.co.uk and has 33 years worth of cartooning experience. He has recently re-launched this website and this a work in progress. 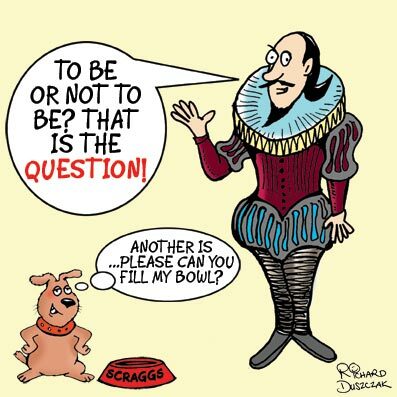 He is a passionate cartoonist and will work day and night to meet your deadline. 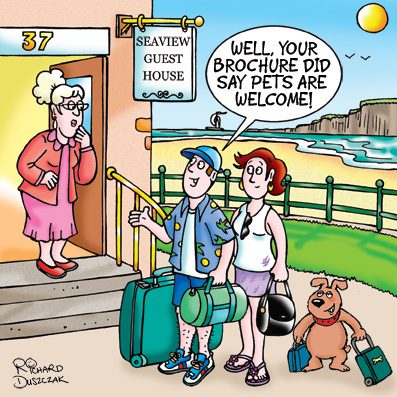 Richard has a wealth of information in his website on anything 'cartoon' that you may need. He gives information in all the areas he specializes in. The website is easy to navigate and lets you know what goes on in his cartoon studio.